Sleep apnea may rob you of your sleep. But there is no reason for you to stop traveling outside of Toronto because of it. 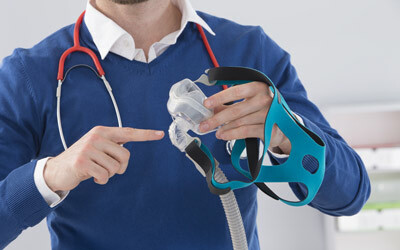 Advances in CPAP technology have made it extremely easy to travel with a CPAP machine. If the above words mirrored your thoughts, then you are not alone. Most people who have been prescribed CPAP have a similar reaction when they are first told about travelling with their device. However, irrespective of whether its leisure or business related travel, you want to feel alert and refreshed. Why avoid it when you can travel with the machine? Here are 10 tips that will allow you to travel easily with your CPAP machine. Travelling for a much needed holiday or for business? Plan early. This allows you to choose how you wish to carry the CPAP machine. You can either choose to pack it in the checked luggage or you can carry it abroad an airplane (In case of air travel). Contact your airline to know about their policy regarding the use of CPAP machines in flight. Many airlines require a 48 hour notice to verify whether your model meets FAA standards. You may also need to label the machine properly indicating that it complies with FAA standards. If you are planning to pack it with the checked luggage, then ensure that you label it as medical equipment luggage. If you are planning to use the CPAP machine on the airplane, then check beforehand if your seat has a power outlet that you can use. A backup battery pack for your CPAP machine can be extremely handy while travelling and can be an alternative to the power outlets. You can either buy one outright or even rent one. Speak to your DME manufacturer to know more about backup batteries. You can consider buying a CPAP travel hoodie if you feel embarrassed to use the machine in-flight or while you are travelling. It gives you the much needed privacy. If you are travelling internationally, then check whether your CPAP machine has a universal power supply that can adapt to the voltage change. Alternatively, invest in universal power plugs with built-in surge protection. Empty the humidifier chamber before you pack the machine. The water can leak and damage the machine. Always carry the prescription with you. The TSA agents may need additional details or your machine may breakdown during your travel. The prescription will help you get additional supplies.